Here is a collection of material and furniture trends from this year’s Design week in London. Exhibitions and events were more spread out in the city than ever before. The name of the exhibition Breathing Colour at the Design Museum in London comes from light’s ability to make colours come to life. It has been put together by a famous Dutch textile designer Hella Jongerius. Going through the exhibition is a visual learning experience about the use of colour in industrial design. Making prototypes as a part of the creative process has become a lot more accessible during recent years. Allowing to see as early in the design process as possible a 3D outcome is a great advantage. It enables more iterations and improvements to the finished product. 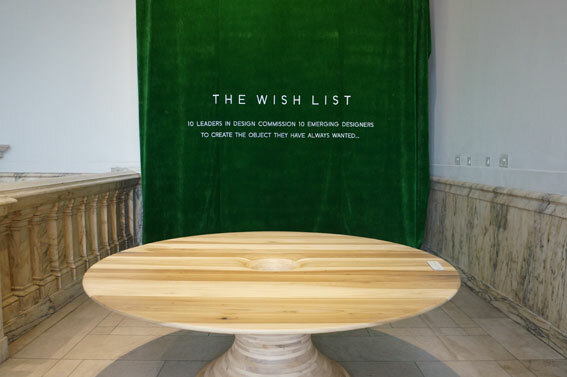 The V&A museum in London is presenting a fantastic collection of new products designed by emerging talent called a Wish List. Ideas for the products have come from ten masters, the big names in design at the moment.